Atlus announced today that Persona 3 Portable will be hitting U.S. shores this July 6, 2010 on the PSP. No word if it will be on the PSN; I asked on the Atlus forum’s and will update if I find anything out. I was honestly thinking this last week that Atlus would definitely be publishing this title in the U.S. and it was a matter of time really. Atlus seems to publishes some niche games that don’t sell to well or get fabulous reviews, but Persona 3 Portable is guaranteed money in the bank. When Persona 3 Portable was released in Japan, it was a no-brainer for Atlus to bring it to the states, where Persona 3 and 4 were met with critical acclaim and did well for Atlus. I am hoping Atlus released this the week of July 6th on the PSN like they did with the Persona 1 remake. I saw on the Atlus forum’s someone complaining about why Persona 3 was remade before Persona 2. 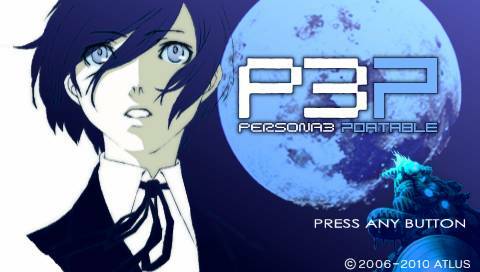 The thing is, Persona 3 Portable isn’t a remake of Persona 3 or Persona 3: FES, it is a port of the PS2 game. It is much cheaper and easier for a developer to port over a PS2 game to the PSP than it is to remake a game entirely. 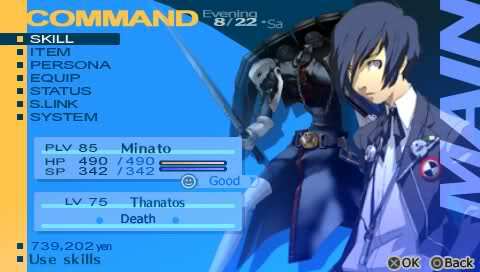 While a few things were added, Persona 3 Portable doesn’t contain The Answer segment from FES and doesn’t bring much more to the table other than a playable female protagonist. I don’t think that it is worth $10 than Persona 3: FES was at launch for a portable game port with inferior graphics. I think $40 is a fair price for the game, but I was surprised by it. Hopefully, there is a save anywhere feature instead of strictly at the dorms and outside Tartarus. In the end, I am still excited for this to be released, July can’t come soon enough!